NOTE! This solution has been upgraded, and the new approach can be found here. 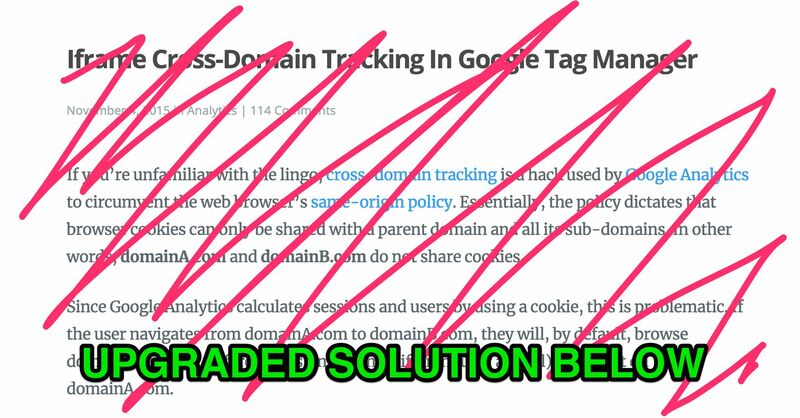 If you’re unfamiliar with the lingo, cross-domain tracking is a hack used by Google Analytics to circumvent the web browser’s same-origin policy. Essentially, the policy dictates that browser cookies can only be shared with a parent domain and all its sub-domains. In other words, domainA.com and domainB.com do not share cookies. Since Google Analytics calculates sessions and users by using a cookie, this is problematic.